We have devoted a separate page to garden centres in Birmingham because it is such a large area. Set almost in the middle of England, Birmingham is home to a huge variety of garden centres. From the very modern and very large Melbicks Garden Centre, right through to small nurseries. With the NEC at Birmingham hosting major gardening shows, you can be sure of finding the garden centre for your needs in the Birmingham area. This page allows you search for information about garden centres in Birmingham, we have also included Solihull in our search area. For details of Birmingham garden centres which have a Santa's grotto at Christmas, click here. Akamba really is a garden centre with a difference. 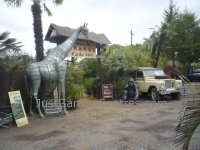 Situated in the distinctly non-tropical Solihull they stock a huge selection of exotic plants. Palms are an obvious speciality but they also stock ferns and .... Click here for the full article. Our review of the cafe can be found here. The unusual feature of this garden centre is the high proportion of the plants area which has rain protection. It is a very high percentage of the whole area, one of the highest we have ever encountered .... Click here for the full article. Our review of the cafe at Bourneville Garden Centre can be found here. Bourneville is a small to medium sized garden centre owned by Wyevale Garden Centres. The outside area consisted of the plants area where the plant bays were arranged in symmetrical and boring rows .... Click here for the full article. Our video Earlswood Garden Centre can be found here. 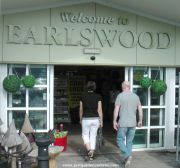 Earlswood Garden Centre is unusual for as large garden centre because they don't sell lots of non-gardening goods, they stick to plants and their specialist areas of timber and other garden landscaping .... Click here for the full article. Hirons Garden Centre in Handsworth, Birmingham is unashamedly aimed at providing value for money without any frills. All the niceties of many other garden centres are missing in order to keep costs to a minimum. The concept works well in this area of Birmingham .... Click here for the full article. There is a large area set aside for plants at Melbicks Garden Centre in Birmingham. It is pleasantly laid out area and in many places the design is not simply a set of regimented rows. All the paths .... Click here for the full article. Our review of Melbicks Garden Centre at Christmas can be found here. Notcutts in Solihull is situated on a shopping precinct which included a very large Tesco and a McDonalds. So, combine the weekly grocery shop with a visit to a garden centre on the same site - excellent .... Click here for the full article. Our review of the cafe at Notcutts is here, and opening hours are here. About a quarter of the outside plants area is covered at Whitacre Garden Centre which makes this a good choice for days when the weather is not so good. The paths are solid and level around .... Click here for the full review. 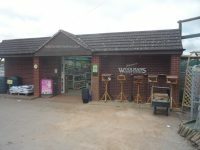 Woolmans Garden Centre was originally a nursery, first acquired by the family over 60 years ago in 1952. It has been run by four generations of the family and over the years has grown into a fully fledged .... Click here for the full review. BFS Garden Centre is a shop selling wooden features for the garden. They specialise in bird tables and fencing items. They do not sell plants or garden accessories, feeds etc. Previously known as Newlands Garden Centre, they are now under new owners and called the Coppice Garden Centre.... Click here for more details. This is an online store only which stocks various gardening goods. Also known as Halls Garden Supplies. The GardenSite.co.uk is an online business however Halls Garden Centre also operates from this address. Gardeners World started business in 1985 as a small company supplying top soil and paving. The business has expanded to include total management of garden landscape projects. They supply all the .... Click here for more information. Garretts Green Garden Centre concentrate on two gardening areas, landscaping materials and aquatics. They have a huge site and can offer an extremely comprehensive range of turf .... Click here for more information. Hopwood Garden Centre first started in business over 30 years ago. They are really a plants nursery and originally supplied plants to the wholesale trade. About 15 years ago they switched completely .... Click here for our review. Status: This business has changed its name to Jacksons Garden Supplies (see entry below). However the garden centre business was not a success so they changed tack, renamed themselves Jacksons Garden Supplies and specialise entirely on garden buildings, summerhouses, garages .... Click here for the full review. Newlands began in 1975 as a pick-your-own nursery. 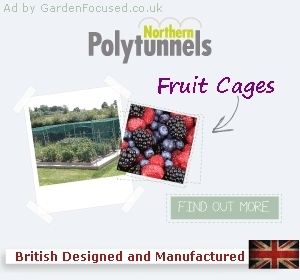 Over the years they have added various large greenhouses and polytunnels to transform it into a fully fledged garden centre. They are now renamed the COPPICE GARDEN CENTRE .... Click here for more information. Oasis hydroponics are principally a mail order company who deal in all aspects of hydroponics for the amateur and advanced gardener who want to grow plants with the help of nutrient fortified water .... Click here for the full review. Park Lane Garden Centre is run by people recovering from mental health problems. The plants they sell have been grown with care and they match or surpass those grown by the larger garden centres .... Click here for the full review. Their principal specialist areas are a vast array of garden buildings, sheds, fencing, gates, decking and trellis. They also stock a turf, log rolls, paving slabs, slate, gravel and sand. In fact they stock almost everything .... Click here for the full review. Rathbone is a registered charity set up to help people with learning difficulties. They provide many services to these people and their garden centre is key to their project. 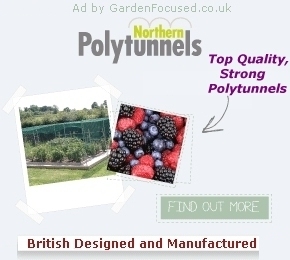 It stocks all the bedding plants .... Click here for the full review. We have tried to contact Wythall Nurseries several times by phone but there has been no answer. We are unable .... Click here for the full review.